They bravely led the way to a new environmental consciousness that awakened communities around the world to the importance of protecting our planet. Naturalist John Muir, activist Dolores Huerta and climate scientist Charles David Keeling all turned their passion for the planet into action—which is this year’s theme for Earth Month festivities at UC San Diego. The campus and local community are invited to join in a month-long series of events in April designed to celebrate these pioneering environmentalists and inspire the next generation of green leaders. More than a dozen events will be held on campus and in partnership with local nonprofits in celebration of Earth Day, which is nationally recognized on April 22. The events—the majority free and open to the public—offer opportunities to engage in cleanups and DIY green activities, as well as meet environmental changemakers like Dolores Huerta, who spoke about her experiences as a labor and environmental rights activist on Apr. 5. When Huerta took to the stage, the co-founder of the United Farm Workers shared her “aha” moment––the time, decades ago, when she realized clean air and water are human rights. 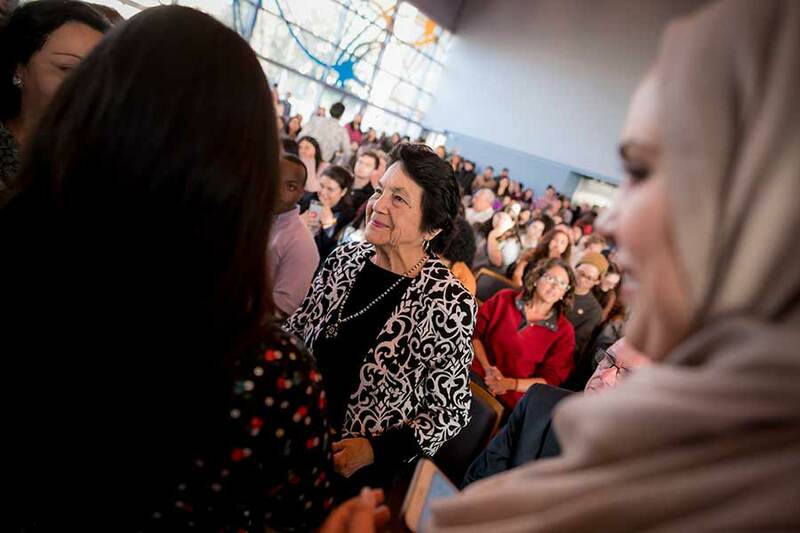 Dolores Huerta took the time to meet with students and event attendees before and after her talk. Immediately following the event, she stayed for more than an hour to ensure everyone who wanted to get a picture with her had the opportunity to do so. She spoke of various circumstances in which the farm workers she advocated for would get poisoned from pesticides and how the problem still persists. At the event, Huerta shared the stage with Lesly Figueroa, current UC San Diego Associated Students president. Figueroa is a first-generation college student from Coachella, which is home to many farmworker communities. Figueroa said Huerta has been a big influence on her. “What inspires me [to get involved] was growing up in Coachella and my parents… in my community, working people have to overcome so much to have opportunities,” Figueroa said. The two exchanged ideas on a number of topics and spoke passionately about what it is like to be activists as well as women of color. Throughout the conversation, Huerta encouraged Figuero and all in the audience to make change where they see fit and not to be afraid to speak out. Huerta spoke about how living simply is a way in which every citizen can be more environmentally conscious. 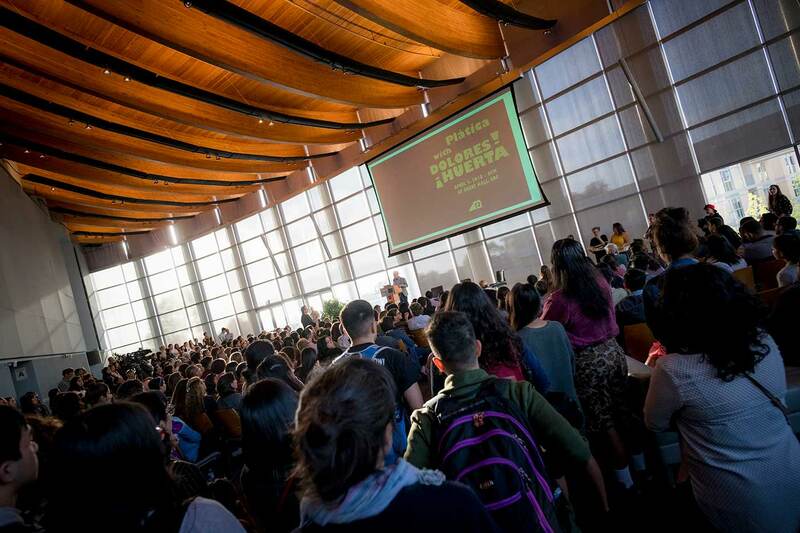 About 400 faculty, students, staff and community members attended the Dolores Huerta event. Throughout the conversation, Huerta encouraged the audience to be civic-minded and to engage in politics and in local, state and national elections, even if they are disillusioned by the current political process. She said the best part of her work as an activist has been empowering citizens. “What I tell people, is that ‘politicians work for you…as the people you have power.’ Making people realize they have power, it feels like magic,” she said. The day prior to the talk, UC San Diego’s Muir College hosted a screening of the film “Dolores” which is currently showing on Amazon and PBS. This year marks the 60th anniversary of the “Keeling Curve,” which in 1958 became the first measurements to indicate rising levels of carbon dioxide in the Earth’s atmosphere. Led by the late Charles David Keeling, a Scripps Institution of Oceanography geochemist, the data continues to propel climate change advocacy. “This year’s events have a special importance as we reflect on the legacy of the Keeling Curve and look forward to continuing to make strides to become carbon neutral by 2025,” said Vice Chancellor for Resource Management and Planning Gary C. Matthews. Whether students, staff or faculty want to help beautify the campus by collecting litter or become more knowledgeable about ways to recycle, there are many opportunities to get involved in this year’s Earth Month. Matthews added that UC San Diego’s faculty and staff have been instrumental in the UC system-wide effort to reduce greenhouse gas emissions, recently outlining a three-step solution to achieving carbon neutrality that could be a model for the international community to mitigate climate change. Additional Earth Month events this month include a symposium from 10 a.m. to 4 p.m. on April 23 dedicated to the life and legacy of naturalist and founder of the Sierra Club, John Muir. UC San Diego’s second college—founded in 1967—was named after the conservationist, who is known as the founding father of the country’s national park system and whose writings have inspired millions over the last century to explore the outdoors. The event, to be held at the Village, will focus on whether Muir’s legacy can shape policy and debate today. After the symposium concludes on April 23, historian and Muir scholar Donald Worster, will give a talk from 5 to 6:30 p.m. on how attacks on environmentalism impact the Muir legacy, sharing the need to look for the complex truths of the man, the role he played in history, and why he’s such a popular figure today. 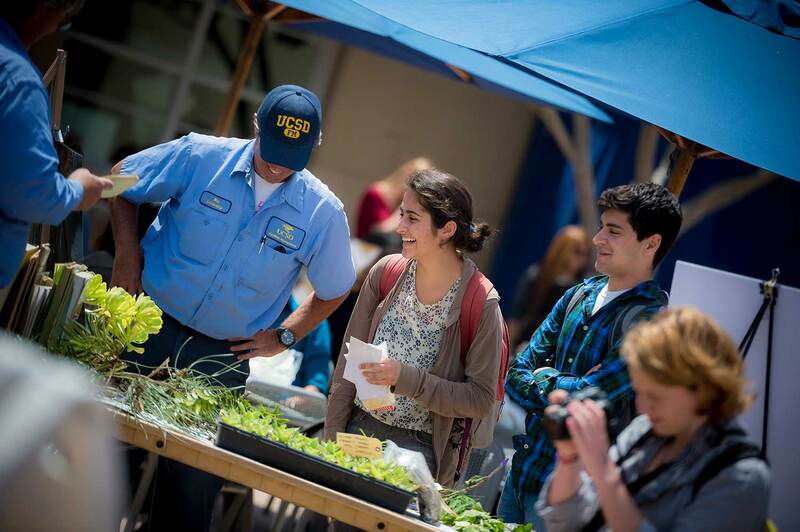 Many Earth Month events focus on educating students and the local community about climate change impacts and the research happening at UC San Diego to promote sustainability. See a snapshot of events below. For a full schedule, click here. John Muir Week, April 16 to 20, various times and locations: The celebration will kick off with a birthday party for John Muir on April 16 at noon at the Middle of Muir (MOM). Other events include the annual Muir Environmental Fellows organic luncheon on April 18, where UC San Diego alumni, staff or faculty will be honored for their work to make the university and the world more environmentally sustainable for future generations. The week will conclude with the burial of the new John Muir College time capsule. John Muir Symposium – After the West: Rethinking Muir's Environmental Legacy, April 23, 10 .m. to 4 p.m., the Village at Torrey Pines, Building 1, #15th Floor: As part of the Environments in Motion lecture series, co-sponsored by Muir College and the Division of Arts and Humanities, this symposium is dedicated to the life and work of John Muir. It will feature an international panel of scholars devoted to a critical discussion and appraisal of the legacy and thought of Muir to commemorate the college’s anniversary. Food Recovery Network at UC San Diego Food Waste Summit, April 21, 8 a.m. to 1 p.m., Village West: As a pioneer in the food security movement, the Food Recovery Network is hosting nine regional food waste summits across the country to inspire local leaders and encourage collaboration between advocates for food justice. This half-day event aims to motivate and inspire local student leaders to get involved in the food security movement. Register for the free event here. Trash Audit, April 23-24, 11 a.m. to 2 p.m., Library Walk: Volunteer to help clean up trash around Library Walk and residential areas. Afterwards, recyclable items will be sorted and measured to discover recycling habits of the campus. Earth Plaza Palooza, April 26, 11 a.m. to 1 p.m., Price Center Plaza: Celebrate Earth Day at the annual fair hosted by the Inter-Sustainability Council. The fair will feature student sustainability organizations, campus departments and vendors. Green Talks, April 30, 4 to 6:30 p.m., Price Center East Ballroom: This TED-style discussion will feature six speakers covering different perspectives of sustainability. There will be also be an interactive Q&A panel, networking session, organic and vegan snacks, and more. For more information and to register, click here. 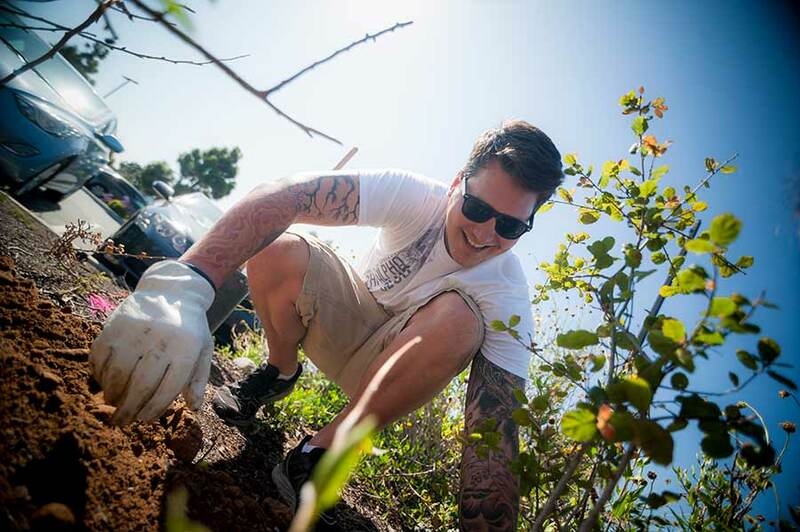 Sustainability is an integral part of UC San Diego’s education, research and campus operations. To learn more about our ongoing efforts, visit sustain.ucsd.edu.